Were you injured in Indianapolis or Lebanon? The spinal cord serves as an essential information transmitter in the human body. The spinal cord is the central and most vital part of the human anatomy because it acts as the mediator between the brain and the rest of the body's organs, working parts, and functions. When a blunt force or other physical trauma injures the spinal cord in anyway, the resulting injuries can be devastating. The degree of lost bodily function will depend on the location and the severity of the injury. When damage occurs closer to the brain, fatality can increase. If you or someone you love has sustained a spinal cord injury, the time to act is now. Consult an experienced Indiana personal injury lawyer from Parr Richey Frandsen Patterson Kruse LLP immediately to begin discussing your claim. We also assist with wrongful death cases. 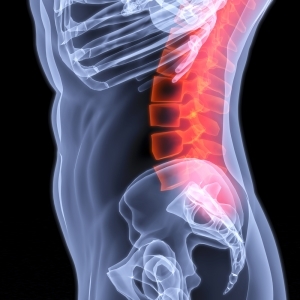 The damages from a spinal cord injury can be overwhelming and can change your life. Your spinal cord injury may require multiple surgeries, traumatic amputation of limbs, paralysis, loss of sensory perception, or in some cases, even death. If someone's negligent or reckless behavior caused you or someone you love to suffer from a spinal cord injury in Indiana, you could have grounds for a claim. Parr Richey Frandsen Patterson Kruse LLP is here to represent you after a spinal cord injury! We have represented injured victims in Indianapolis and Lebanon after suffering from catastrophic injuries, including spinal cord injuries. We know great care should be exercised when handling your case, but we can also be trusted to represent your rights aggressively in court! If someone else's unlawful conduct has caused you serious injuries, our Indianapolis spinal cord injury attorneys have the proven track record of success you need! With more than 75 years of combined experience and millions recovered for our past clients, we know how to litigate matters for the best possible results. We know the evidence that is needed to prove liability and establish the severity of your injuries to maximize your compensation. If you are ready to move forward after an accident, move forward with Parr Richey Frandsen Patterson Kruse LLP! Contact our firm to schedule your free case evaluation today.